A man steps off a boat, wide-eyed and tired. Children are handed over to strange men in protective white masks; some cry, many expressions remain motionless and unsure. We don’t know how long these people have travelled for, and can only guess at the conditions they have left. The scene is familiar: these newsreel images have been seared onto our retinas in recent months as Europe’s refugee emergency reaches crisis point. Fiction may seem a tad trivial at a time of such upheaval, but it’s more vital than ever. With platitudes from politicians and the commentariat replacing the voices of the refugees themselves, we take a look at the novels and stories telling the migrant’s story in their own words. 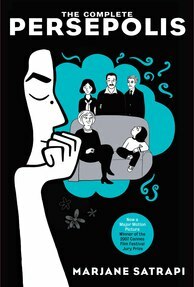 This semi-autobiographical graphic novel juxtaposes the slow creep of oppression and censorship in post-revolution Iran, with the coming-of-age story – and eventual escape to Europe – of a spirited young Satrapi, whose mind is otherwise occupied by American pop and punk rock. The images of Persepolis disrupt the pictures of suffering and desolation we have come to associate with the Middle East; instead, the black-and-white panels of Satrapi’s drawings are filled with colour, as she shows us events we never get to see in the Western world – joke telling, dancing and parties. A tour de force of wit and sarcasm, Satrapi’s voice is one you won’t forget in a hurry. Breaking ground in the post-colonial tradition by using creolised English, Selvon’s novel looks at the lives of London’s post-war West Indian immigrants. The promised Eden of London swiftly turns into a version of Dante’s Inferno when the protagonist, Moses, is forced to confront loneliness and racism in the city’s grey smokes. Selvon’s depiction of the journey of an immigrant can tell us all something about the difficult mismatch between expectation and reality. Martel’s Booker Prize-winning novel is an extraordinary feat of imagination, managing to personify a Bengal tiger and pace an isolated shipwreck as if it were a crime thriller. 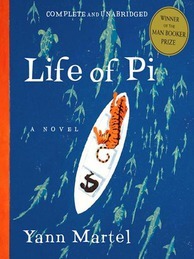 The novel parallels a number of journeys across Pi’s life; we trail his migration from India to Canada, the dangerous expedition across the Pacific Ocean and the metaphorical journey of surviving adversity against all the odds. As to the eternal question: is it an allegory? Well, that’s up to you. 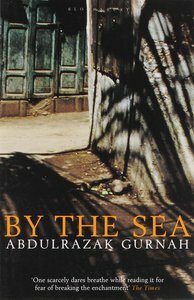 Gordimer follows the relationship between the middle-class protagonist, Julie Summers, and her partner, Abdu, who is an Arab immigrant. 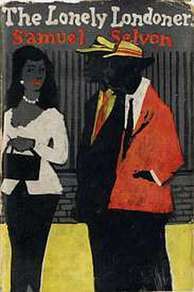 Visa troubles force the couple to return to Abdu’s homeland and the roles are reversed. 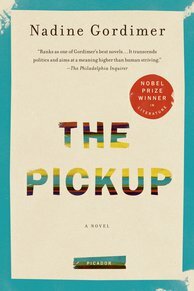 Confronting an unfamiliar culture, Summers has to deal with her biases and prejudices as they begin to surface. As always with Gordimer, expect a twist that will dash any expectations you may have prepared. With the high notes of a Shakespearean tragedy, Hosseini’s book explores the father-son relationship, betrayal and redemption. 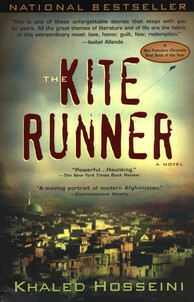 The first Afghan novel written in English, Kite Runner is a poignant story about the resilience of the human spirit amid a background of violence, tribal factions and brutality.